2002 - Finnish Touring Cars (VW Golf GTi): Champion, 463 pts. 2002 - F3000 (Team Astromega): J7th, 18 pts (2nd Interlagos, 3rd A1-Ring, 4th Hockenheim, 5th Barcelona & Magny-Cours, 6th Monaco). Club GT racer. Was involved in an accident during a GT regional race at Mosport Park on lap 2, succumbing to his injuries. Had his race debut in 1920 driving a Talbot 25hp on the Meltham speed hillclimb, and drove in several other hillclimb events before entering the 1923 JCC 200 in an Aston Martin. He went on to drive in the 1930 TT (in a Bentley) and in various events at Brooklands. His last track race was the 1935 JCC International Trophy, but he continued hillclimbing. 2004 - UK F.Renault Winter Series (Fortec Motorsport): Champion. 2000 - Australian Formula Holden (Challenge Ralt Racing Reynard 94D), 3rd, 163 pts. F.Holden Tasman Cup: 3rd, 81 pts. 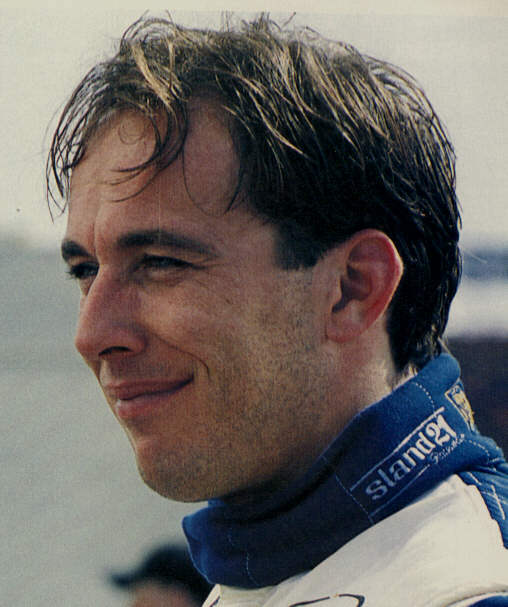 Started working at Williams, before leaving in 1996 to join Stewart and subsequently Arrows. Joined Jordan in 2001 as Technical Director. 2007 - Died of head and neck cancer. 2011 - ALMS (BMW Motorsports BMW M3): GT Class Champion 159 pts, with D.Muller. 2005 - UK F.BMW: 4th. Rookie of the Year. 2000 - US F2000 (Van Diemen RF00): 4th, 229 pts. 2002 - IROC: 1st, 54 pts. 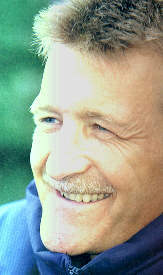 1994 - Started stock car racing Northern Ireland. Subsequent years did Northern Irish F.Ford & F.Vauxhall. 1998 - F.Palmer Audi Winter Series: Champion. 1999 - F.Palmer Audi: 8th. 2000 - European F.Palmer Audi: 1 win. Korean F3 GP (Manor Motorsport). 2002 - French F3 (LD Autosport Dallara-Mugen Honda F302): 6th, 87 pts. British F3 (Carlin Motorsport Dallara-Mugen Honda F302): 2x3rd in one-off appearance at Rockingham. Starting out as a journalist on the Daily Mail, he worked up through sub-editor and associate editor, before becoming editor of the Sunday Despatch. However, in the 1960s Ford was having an image problem, and when Ford boss Sir Patrick Hennessy discussed this with his friend (and Daily Mail/Sunday Despatch owner) Lord Beaverbrook, Hayes was recommended as the director of public affairs for Ford. He joined in 1962, and together with Colin Chapman came up with the Lotus Cortina, which transformed the image of the car. 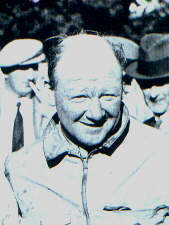 When Coventry Climax withdrew from racing, Chapman discussed with Hayes his engine problem, and Hayes immediately realised the value of getting Ford's name into F1. In a Ford policy committee meeting, he waited until the "Any Other Business" section and requested £100,000 for Cosworth Engineering to develop a new engine. A new era was born. He also was involved in Ford's rallying and sportscar campaigns, and when Ford USA decided to withdraw from racing, he sold the GT40's and the team to John Wyer and John Willment, ensuring that Ford continued to win. 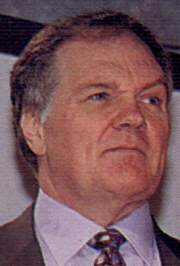 Hayes eventually became vice-president of Ford, and gained a CBE for services to motorsport in 1989, upon which he retired. 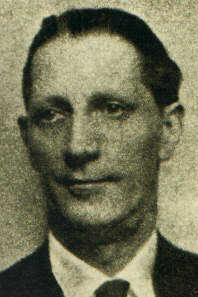 However, when Ford bought Aston Martin, Hayes was bought out of retirement to become chairman of the new company. Once Aston Martin was in good shape, he retired again, but he was still life president of Aston Martin, governor of the University of Michigan Library, chairman of the Churches Conservation Trust, and a trustee of the Grand Prix Mechanics Trust. He sadly died of Lung Cancer on Boxing Day, 2000. Club racer. Had just started practice at River Valley Raceway dirt track when his throttle appeared to stick wide open - he went over the banking, and then hit a piece of heavy equipment 100 yards away at around 80 mph. Hays died at the scene from massive closed head trauma. 1977 - Won Daytona 24 Hrs (Porsche 911 Carrera RSR) with J.Graves & D.Helmick. Won Le Mans 24 Hrs (Porsche 936) with J.Ickx & J.Barth. 1979 - Won Daytona 24 Hrs (Porsche 935) with D.Ongais & T.Field. Chief designer with Williams GPE. 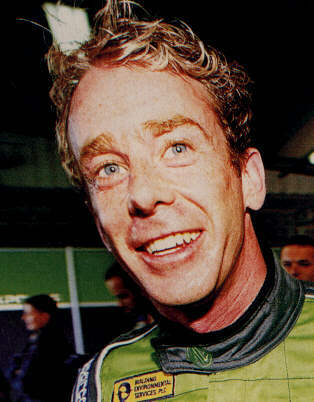 1999 - Joined Subaru to prepare pace notes for Richard Burns. 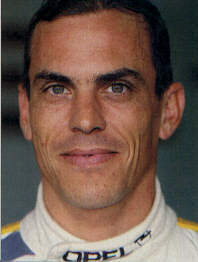 2000 - Swedish F.Ford (Van Diemen): 3rd, 157 pts. Hélène Delange was an acrobat and dancer whose stagename was Hellé-Nice, having had star billing at the Casino de Paris in the Gala Maurice Chevalier, and she started racing in 1928, winning the Grand Prix Féminin at Montlhéry in an Omega Six, beating the likes of Estelle Lang and Anne Itier. Ettore Bugatti then loaned her a Type 35T for a speed record run where she averaged 198 kph before an accident. 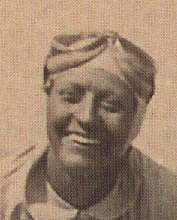 She was due to take part in the GP of Casablanca, but withdrew after her friend Count "Bruni" d'Harcourt had a fatal accident. She finished 3rd in the GP Bugatti at Le Mans, and was hired by the Williams Morris Agency to do a tour of America. She took part in a record run at the New Jersey Woodbridge oval, driving a Ford, but crashed and rolled after three laps. Nice was uninjured and crawled out of the wreckage, waving to the crowd. She came back to Europe and competed regularly in the Bugatti, collecting start money in 1932, and took the ladies hillclimb record at Mont Ventoux. In 1933 she purchased an Alfa Romeo Monza, finishing 9th in the Italian GP where Campari, Borzacchini and Czaykowski were all killed in an accident, and subsequently took part in the Pescara 24 Hours. In 1936 she won the Coupe de Dames on the Monte Carlo Rally driving a Ford V8, but a trip to South America driving the Alfa went horribly wrong. Driving in the Grand Prix de São Paulo, Nice lost control when avoiding an excited official and was thrown from the car. Nice was in a coma for three days from which she recovered, but the run-away car killed six spectators. She never raced seriously again. In 1937 she joined an all-female record breaking team at Montlhéry, and the following year SS member Huschke von Hanstein tempted her to drive a DKW on the Rallye de Chamonix. Because of this association, Nice was accused of Nazi sympathies after the war, and she went to court to clear her name. She returned to rallying in 1950, teaming up with Anne Itier to drive a Renault 4CV on the Monte Carlo Rally. However, they had an ignominous early exit when at the Amsterdam start she skidded on black ice and fell in a canal. Her last race was the 1951 GP de Nice, where she again drove a Renault 4CV. 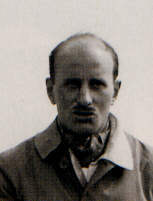 Unfortunately her place in the team was taken by a young Jean Behra. When Cesare Giuppone was killed racing for Peugeot, works drivers Georges Boillot, Jules Goux and Paul Zuccarelli hatched a plan to design a new high performance engine, and persuaded Robert Peugeot to let them design whatever they wished. They took on Swiss draughtsman and designer Ernest Henry, who had worked with Zuccarelli at Hispano Suiza. This outraged the established Peugeot designers, who called the three drivers The Charlatans. 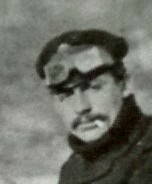 However, Henry came up with the new idea of the Double-Overhead Camshaft engine, and it won first time out in the 1912 Grand Prix de l'ACF. 2008 - ALMS (Flying Lizard Motorsports Porsche 911 GT3-RSR): Champion, 188 pts, with J.Bergmeister. 1932 - Crashed a Miller on New Years' Day, leaving him with a permanent limp. 1946 - Indy 500 (Kurtis-Kraft Novi): ret/brakes, set qualifying record 7mph faster than previous one, and it stood for 5 years. 1948 - Indy 500 (Novi) - hit wall during practice, killed immediately. 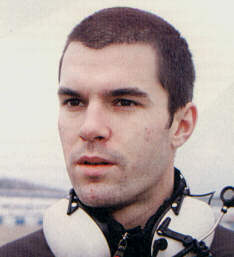 2004 - Spanish F.Junior: Champion. Italian F.Monza: Champion. 2005 - Italian F.Renault. German F3. British F3. 2006 - British F3. F3 Euroseries: 15th. 2008 - GP2: 29th. GP2 Asia Series: 23rd. 2002 - Spanish F.Toyota: 3rd. Portuguese F.BMW: 7th. 2003 - Spanish F3 (Azteca): 9th. Did selected British F3 and World Series Light (RC) rounds. 2004 - Dallara-Nissan (Saulnier): 13th. Spanish F3 (Campos): 6th. Rally driver who died during the 7th ADAC Rallye Rund um Veste. He crashed his Mitsubishi Lancer Evo VI on a special stage at an ex-military training camp near Coburg during heavy rain, hitting a wall. 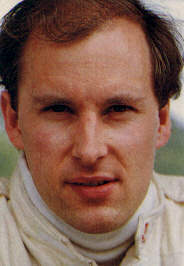 His co-driver Lars Barchfeld was also hurt. Started co-driving in the 1970s, having success with David Fulton in a Talbot Sunbeam in the Scottish Rally championship. He later co-drove for Walter Barr, and for 2003 started co-driving for Alan Doncaster. However, on their first event, the Border Counties Rally in a Peugeot 206, they crashed at high speed on SS5 - The Dodd - and hit the mature trees alongside the road, killing Herron instantly. He was survived by his wife Beth and son Roger. 2001 - British F.Ford (Tim Sugden Motorsport): 11th. Brands Hatch F.Ford Festival: 14th. 2002 - British F.Ford (Works Van Diemen): 3rd. Brands Hatch F.Ford Festival: 1st. 2002 - FIA GT Championship (Carsport Holland Chrysler Viper GTS-R): J8th, 36 pts, 1 win (Donington Park) with A.Kumpen. 2007 - FIA GT Championship (Carsport Holland Chevrolet Corvette C6.R): 3rd, 55 pts, with J-D.Deletraz. 2009 - FIA GTs (PK Carsport Chevrolet Corvette C6.R): 2nd, 53 pts, with A.Kumpen. 1993 - Peugeot Challenge (Genesis Sport Peugeot 205 Gti): Champion, but later removed due to technical infringement. 5th Breckland Rally, 6th Somerset Stages, 1st Peugeot Race Day, 15th Kayel Graphic Rally, 15th Mont Blanc Rally, 16th Le Touquet Rally. 1994 - British Rally Championship (Peugeot Sport Peugeot 106 Rallye): Class A5 Champion, 12th Rally of Wales, 12th Manx Rally. Gravel note driver for Prodrive in World and Asia Rally Championships. 1995 - British Rally Championship. Gordon Spooner Ford RS2000: 10th Pirelli Rally, 6th Scottish Rally. Asquith Autosport Honda Civic 1600cc: 27th RAC Rally (1st in N2 class by 38 minutes). 1997 - British Rally Championship (Barretts Motorsport Subaru Impreza WRX-RA): 5th (A6 class champion), 5th Rally of Walkes, 4th Pirelli Rally, 6th Scottish Rally, 15th Ulster Rally, 10th Manx Rally, 12th Bournemouth Winter Rally, 1st Kent Forestry Stages, 2nd Goodwood Rally Sprint. World Rally Championship: ret/electrical Rally Australia (Mini), 31st RAC Rally (SEAT). 1998 - British Rally Championship (Barretts Motorsport Subaru Impreza WRX-RA): Group N Champion, Subaru Shield Champion, 5th Rally of Wales, ret/turbo Pirelli Rally, 8th Scottish Rally, ret/gearbox Ulster Rally, 3rd Manx Rally. 5th on the Cambrian Rally (Asquith Autosport Honda Civic 1600). Driving the Subaru, won Group N on Silverstone Rallysprint, 17th Ypres Rally, Won Kent Forestry Stages, 11th Rally GB, 2nd Rally Peru. 1999 - British Rally Championship (Barretts Motorsport Subaru Impreza WRX-RA): Group-N Champion. 1st Rally of Wales, 4th Pirelli Rally, 5th Scottish Rally, 19th Jim Clark Rally, 9th Ulster Rally, ret/turbo Manx Rally. ret/accident Ypres Rally, ret/turbo Rally Finland. Entered the China Rally in a Ralliart VW Jetta, but was hit by a competitor and steering rack broke. 2000 - British Rally Championship (Peugeot 106 Super GTI): ret/accident/mechanical Rally of Wales, 16th Pirelli International Rally (3rd in class), ret/last stage/mechanical Scottish Rally, 3rd in class Jim Clark Rally, 9th MSA Rally (3rd in class). 1996 - British Rally Championship (Nissan): 2nd. World Rally Championship (Nissan): 2nd in F2 class on Rally GB. 1999 - British Rally Championship (Volkswagen Golf): 6th. Co-driven by Bryan Thomas. Won F2 class on Rally GB. 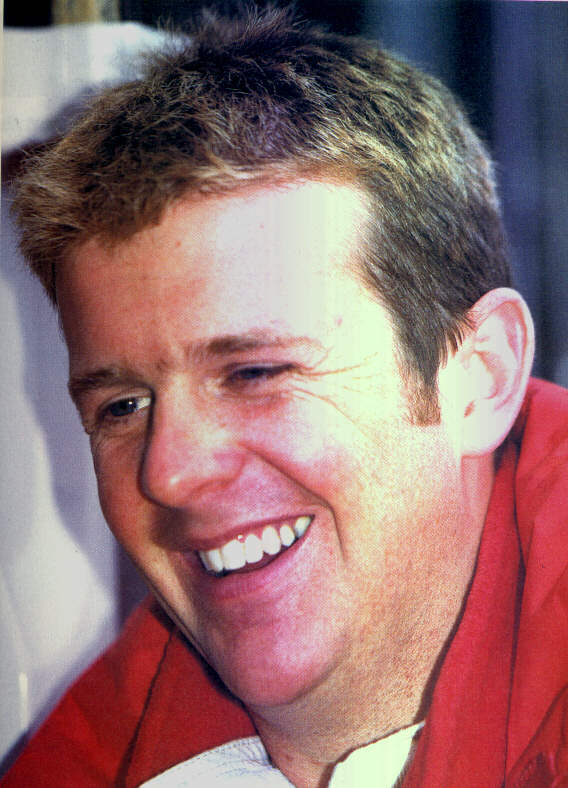 2000 - British Rally Championship (Vauxhall Astra): 2nd, 44 pts, co-driven by Bryan Thomas. Won Vauxhall Rally of Wales, Jim Clark Memorial Rally, Manx Internatoional Rally. Won F2 class on Rally GB. 1995 - Formula Dodge: Champion. US Ferrari Challenge: 2nd. 1996 - Barber Dodge Pro Series: Rookie of the Year. 1997 - Barber Dodge Pro Series: Champion. Sportscars: Won GT3 class in Daytona 24 Hrs, Sebring 12 Hrs, Lime Rock and Mosport. 2002 - F3000 (Durango Formula): 0 pts from last seven races. 1994 - Won Anglia Karting Championship. 2nd in British Cadet Karting Championship. 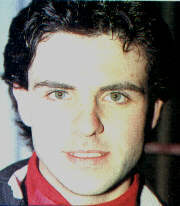 1995 - British Junior Karting Champion. 1996 - Euro Junior Karting Championship: 2nd. World Junior Karting Championship: 4th. 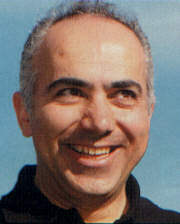 1999 - Won Italian Karting GP at Imola. 4th in Australasian Karting Championship. 2002 - Japanese F3 (TOM'S Dallara-Toyota F302): 5th, 142 pts. Macau F3 GP: 4th. 1977 – Austrian Renault 5 Cup, Champion. 1000Km Kyalami (Faltz-Alpina Essen BMW 320): 3rd, with H.Grohs. 1978 – DRM (Team GS-Tuning BMW 320): 4th, 117 pts, 3 wins D2. 1979 - DRM (Jägermeister Racing Team BMW 320/320 Turbo): 8th, 84 pts, 1 win D2. Procar Series (GS Tuning BMW M1): 4th, 45 pts. F2 (Bob Salisbury Racing March 792-BMW): Hockenheim 13th, Brands Hatch 7th, Nürburgring 7th. 1980 – F2 (Works Maurer MM80-BMW): Thruxton ret/0 laps/engine, Hockenheim ret/3 laps/fatal accident - hit by an errant wheel from Warwick's car which had crashed moments before. 2000 - Won Swedish Kart Cup, Swedish ICA Junior Championship (Ward Racing), and Nordic ICA Junior Championship (Ward Racing). 2002 - Swedish Formula Ford Zetec (Eje Elgh Motorsport): 4th. 2003 - Swedish Formula Ford Zetec (Stig Blomqvist Motorsport): Champion. Nordic Formula Ford Zetec (Stig Blomqvist Motorsport): Champion. UK Formula Ford Winter Series (Nexa Racing): Champion, 1 win. 2004 - Brands Hatch Formula Ford Festival (Nexa Racing Van Diemen RF04): 3rd. UK Formula Ford (Nexa Racing): 3rd. 1983 - IMSA GT Champion. Won Le Mans 24 Hrs (Porsche 956), with V.Schuppan & H.Haywood. Born to the family which owned the van Hool Truck and Coach building company. 2006 - IRL (Team Penske Dallara-Honda): Champion, 475 pts, 4 wins (Indy 500, Richmond, Kansas, Kentucky). 1981 - Raced a Chamberlain clubmans car, & won title. 2001 - European Super Production Cup (Carly Motorsport BMW 320i): 2nd, 114 pts. Won Macau Guia race (BMW 320i). 2002 - Dutch Touring Cars (Carly Motorsport BMW 320): Champion, 263 pts. 2003 - European Touring Cars (Carly Motorsport BMW 320i): 7th, 47 pts. Macau Guia Race (BMW 320i): 1st. 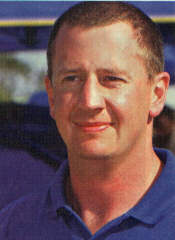 1994-1999 - Consultant to the Sentul circuit in Indonesia. 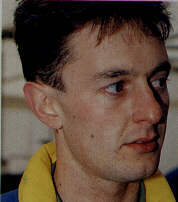 Started racing in Australia, and moved to the US around 1993. Primarily a mechanic for Don Droud Jr and crew chief for Randy Hannigan, Hutton raced about four times a year. He was killed at the Southern Iowa Speedway when his car apparently struck the rear wheel of the car in front of him, causing his car to hit a guardrail and roll several times. The impact sheered off part of the cars roll-cage, and the driver was pronounced dead on arrival at the Mahaska County Hospital. Went to America in 1992 to drive an Indycar in a competition called Fastrack, and was quickest ahead of Bryan Herta, but the organiser ran off with the $1 million prize. 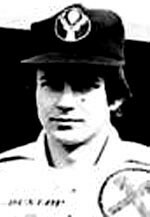 He then retired from driving, arranging sponsorship for Arrows before setting up a company with Karl Olsen called Admirantys, marketing the "Navicam".